The Asphalt series will be familiar to anyone who has played mobile games. Started out back in 2004, the original game was launched on the Nokia N-Gage platform, the OG smartphone gaming platform that people often forget about these days while talking about gaming smartphones. The original game was an absolute blast. With stunning 3D visuals (for the time), an eclectic collection of licensed tracks and fun handling meant I sunk an ungodly number of hours playing it on my N-Gage QD. The later games took the series further in terms of visual quality and having even more, newer cars and tracks to play. 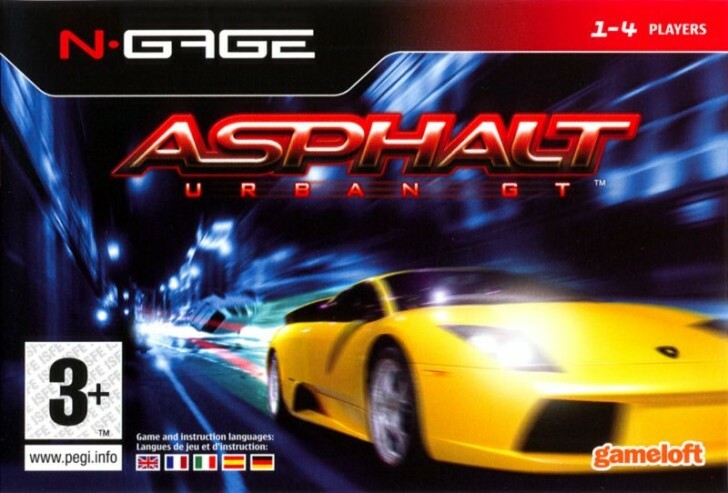 The series continued to be available on the N-Gage up until Asphalt 3: Street Rules, after which Nokia's platform was forgotten and it moved on to other, newer platforms such as Symbian, Windows Mobile and of course, iOS and Android. Fast forward to today and we now have the ninth tent pole game in the series being released, fourteen years since the original. It's no longer a niche game, with the last one — Asphalt 8 — alone having over 100 million downloads on both, iOS and Android. The world has also changed, with today's smartphones being more powerful than the computers of 2004. So, what can one expect from a modern Asphalt game in 2018? Let's see what all has changed since the last one. Asphalt 9: Legends includes improved visuals, new controls, and a new roster of cars and tracks. Pretty much what you'd expect from a new Asphalt game (not that I'm complaining). Let's start with the visuals. The visuals have always been one of the selling points of the Asphalt series, with every new game bringing stunning visual quality that that would set the benchmark for mobile games of that generation. Asphalt 9 is no different, and the focus this time seems even greater on the visuals, with Gameloft releasing a video ahead of release detailing all the new graphical effects that have been packed in this time. Visually, Asphalt 9 is stunning and quite possibly the best-looking game on the mobile platform today. There are several factors that go into this so let's look at some of them. One of the most important things visually in a racing game is conveying the sense of speed. Arcade games in particular go for a more dramatic effect and this is usually achieved using motion blur. Motion blur is best described as slowing down the shutter speed of your video camera, so instead of everything being captured crisply, it leaves a trail of motion. While not ideal for capturing real world motion, in video games it helps make motion appear smoother, especially at lower frame rates. In this case, it creates a wonderful sense of speed as you move forward. The motion blur is applied on on a per pixel basis to everything except the car and is gradually exaggerated from the center of the screen towards the edges. Coupled with a light vignette, this helps focus the eye in the center and also creates a warp speed effect that increases as you go faster. Hitting nitro only exaggerates this effect further mixed in with a camera distance trick to convey even faster motion. The sense of speed in Asphalt 9 is excellent. This was one of my issues with Asphalt 8 where cars just didn't feel fast enough. There was very little sense of speed there and they have greatly improved upon that here. The new engine also has excellent lighting, with an HDR lighting effect that creates the vibrant environments. A bloom effect makes brighter areas stand out and truly dominate as they are blown out slightly, which makes for a sharp contrast with the darker areas. Every stage has different lighting dynamic that changes with the conditions, with levels having distinct sunny, overcast, desert, snowy mountains and a city at night lighting feel to it depending upon the level. A crepuscular or god ray effect is used to create light shafts coming in through slits and around edges in front of light sources. Complementing the great lighting is the use of screen space reflections, reflecting local geometry detail off the surface of the cars, puddles and ice. These helps anchor both, the cars and other objects to the environment and creates a cohesive environment that looks realistic. The game also makes great use of particle effects. The cars throw up sparks every time they brush against something or land on the road, objects on the road shatter when you drive through them throwing bits and pieces everywhere, water droplets splash on the screen and move away as they dry off. There are also other great effects, such as lens flare for bright light sources such as the sun or your exhaust when you fire up the nitro. A neat depth of field effect is utilized during the start of a race when you see all the cars around you. The weather system allows for things like water spray or snowflakes to move through the environment as you drive. The star of the show are really the cars here. Each one features a phenomenally high polygon count, which makes them look hyper realistic, with great attention to detail everywhere. The cars don't have a damage model but pickup dirt or ice after you drive around on the track for a while. However, when you take down a car it does show up visible damage temporarily while bits fly off it. As you drift, you can see visible dirt, snow and water kick up from the wheels along with tire smoke. The wheels also move convincingly, both laterally and up and down with the suspension, with the added red glow of hot brake discs thrown in for good measure. All of this makes for a stunning game, but it's not quite perfect. For one, it runs at a locked 30fps on iOS and Android, which is a shame. The frame rate could be locked because the game cannot hit a stable 60fps on current mobile hardware or perhaps for power consumption reasons but an option in the settings to unlock the frame rate would have been nice. This was also an issue with Asphalt 8, which you could probably very easily run at 60fps on today's high-end phones but can't because the frame rate is locked. For what it's worth, Asphalt 9 does run at 60fps on Windows 10 and even though that's really the only difference, it looks a lot better over there due to the frame rate. The frame rate was pretty consistent on the iPhone 8 Plus but featured occasional frame pacing issues as well as noticeable frame drops on both, the OnePlus 6 and the Exynos Galaxy S9+. The Android version has three visual settings (iOS has none), with the lowest one stripping way too much of the post processing effects. Unfortunately, I did not have a cheaper device to test performance on so it's hard to say how effective the settings are. There is also noticeable aliasing. This was more noticeable on the two Android phones than the iPhone but that may just be due to the fact that the iPhone 8 Plus runs everything at a higher resolution before downsizing it, which may create a super-sampling effect. Some form of anti-aliasing, either FXAA or TAA (or both) would be welcome here. FXAA especially isn't too expensive and can be implemented easily on mobile devices. Lastly, the game runs on OpenGL on Android. I feel like with all the state-of-the-art technology being used here, a modern API such as Vulkan would have been a great fit but the developers likely settled for OpenGL as a safer, better known option. Or maybe the performance difference wasn't big enough (or at all) compared to OpenGL. On iOS, the game does run on the more efficient Metal API and one has to wonder if that's why it performs better. Alright, that's enough about the visuals, let's move on to the gameplay. Asphalt 9 makes rather large and somewhat controversial changes to the controls. The default control is what they call TouchDrive. In this arrangement, the user has very little control over the car. The car accelerates, brakes and turns itself. All you can do is drift, nitro and choose a path by swiping. That's right, when there are multiple paths ahead, the game will show options on screen and accordingly, you can swipe left or right to choose one of the paths. Want to take that left hander? Swipe left. Want to use the ramp on the right? Swipe right. Basically, Asphalt is now Tinder. I wish I could say you can disable all this and go back to full manual, but it's not that easy. You can disable TouchDrive, at which point you can control the steering by tilting or touching the screen but you never get control over the accelerator and braking in this game. This means you are largely on auto-pilot and what feels like a car hurtling down the hill with its brakes and gas pedal ripped off and all you can do is steer it while holding on to dear life. I personally prefer to actually do the driving in my driving games and this game lets me do very little. Don't get me wrong, I get why one would want such simple controls. Maybe it's a child playing or someone with a disability who cannot use complex controls. Doesn't mean they shouldn't play the game. But removing manual controls entirely makes the experience worse for those who would like to have full control over their driving experience instead of feeling like a spectator in your own game. Connecting a controller doesn't help, either. Even with the controller, all you can do is turn, drift and nitro. Imagine doing just three things with your controller that has fourteen buttons on it. Of course, you can enable TouchDrive on the controller as well, at which point you may as well throw it away. The rest of the gameplay experience is by and large similar to the previous game. You have multiple race options and a handful of targets that you can achieve for each race, completing which you get flags to unlock new races. You can race cleanly or be rude and take down other cars on the road. A 360-degree spin mode has been added, which spins your card 360-degrees when you hit the drift button twice, and takes down any car that is close enough to touch. It can be useful at times but I personally didn't use it much. To win races, you need cars, and that's where it gets a bit icky. Cars can't be purchased outright, nor do they unlock in that manner. To unlock a car, you need a certain number of blueprints for that car. You win blueprints by completing races and enough of a certain type will let you unlock that car. Remember, each car has its own blueprints. You can speed up this process by paying for blueprints. Again, you're not paying for the car directly but the blueprints, which could be dozens upon dozens for some cars and each blueprint is quite expensive. You pay for these using in-game credits that you accumulate by winning. There are also tokens that you get that are used for other purposes. You can obviously buy more of these paying real money. You can upgrade any of your cars using the credits but you can't upgrade beyond a point even if you have credits, unless you have the blueprints for that. Here's further insult to injury; the game has no restart function for races. Whether you finish or quit, the race uses up fuel, which is 1 unit. After you use all units of fuel for that car (about 6 available at a time), you need to wait for the fuel to refill. You can speed it up using token or, of course, by watching ads. If you run out of tokens, you can use another car, watch couple of ads, wait, or just pay real money. All of this business is in super sleazy territory. Admittedly, the game is free but as they say, there is no free lunch. You will constantly be reminded of what you lost in return for not paying to download. The only good thing I can say is that there are no frustrating pop-up ads in the game and the only ads you'll see are entirely voluntary. That alone is a major improvement over Asphalt 8. The game does have a great set of cars available this time and you start off with a pretty decent Lancer Evo. However, all the nicer cars you saw in the trailer will require hours upon hours of grinding in the game to unlock, especially with the unlock system being the way it is. As for the tracks, there is a good mix of them and they all look stunning, with lots of shortcuts and multiple routes throughout. However, Gameloft's 70-tracks claim isn't what it might seem. There are a handful of big tracks, which are cut into several parts. Depending upon the race, you will get a smaller section, a larger one, or the whole thing. And then sometimes you will race in the other direction on the same sections. Combine that and you see how they came up with that 70-track figure. You do kind of run out of new tracks after a couple of days of playing and by then you've seen it all. You can still explore the shortcuts in some of them as it is worthwhile since they cut down a lot on time. The tracks in this game, on an average, are quite short, though, and most races get over really quickly. The multiplayer feature is cool as you get to race against real people. Of course, it quickly devolves into who has the best and fastest car and unless it's you, you can kiss that first-place goodbye. The multiplayer is basically designed to reward those who have played a lot of the single-player and have expensive, tricked-out cars. There is also a club feature, where you can create a club with other players online but I didn't find it particularly useful or interesting. One thing worth remembering is that the game is always-online. If you lose your internet connection, the game won't work. This means you can't play it on a flight, for example. It's annoying obviously and I'm not really sure why they need it. In terms of audio, Asphalt 9 features an excellent mix of modern, fast-paced electronic music that works perfectly with action happening on screen. The rest of the foley work in the game is good, too, with the cars sounding appropriately powerful and menacing. To sum it up, Asphalt 9: Legends is a step up from its immediate predecessor, Asphalt 8: Airborne. The biggest improvement comes in the form of visuals, which are absolutely stunning and exemplary for a mobile game, with a few caveats. The gameplay is fun and exciting but the new controls make things too easy and the blueprint and refueling system for cars is a constant annoyance. In the end, it is a free game so it's hard to judge it too harshly. Most of its pitfalls are reflective of the current state of mobile gaming, or perhaps gaming in general, where IAPs and loot boxes reign supreme. 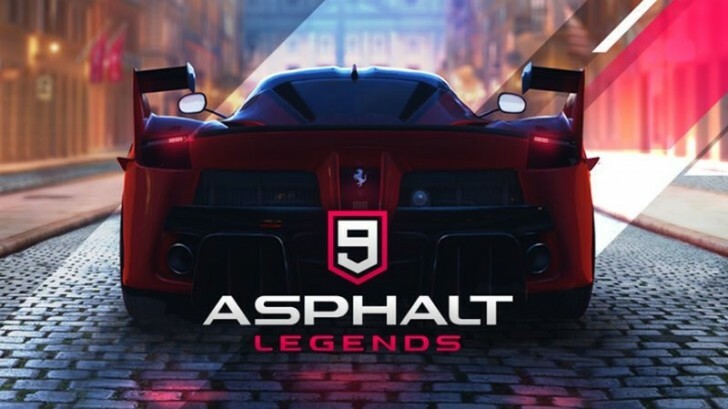 Looking back at the previous Asphalt games mentioned earlier, all of them were paid, including up until Asphalt 8, which too launched as a paid game and later became free to play. It was a different time back then where you paid once and got everything. Now I have to watch an ad so I can get fuel for my car in my free game. Fun. You can change controls on screen tap to steer or tilt to steer. I use the first one cause more buttons makes it to complicated that takes most of the fun out.